It’s been a year since RERA came into existence and by every passing day we are witnessing new developments in the act or state rules. 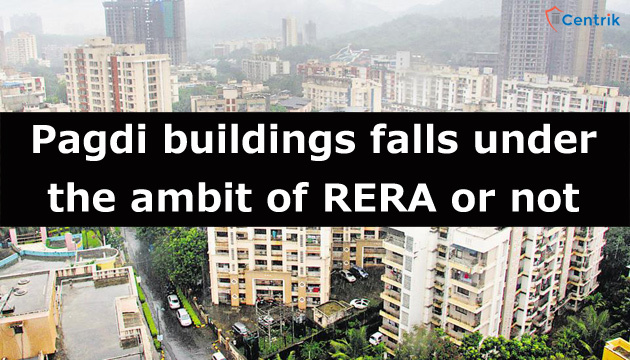 Lately, Maharashtra Government has decided to bring in tenanted or cessed buildings under RERA. The motive to include these building under RERA ambit is to provide protection to the consumers of such buildings as par to the protection provided to the homebuyers because as per the present rules laid down by MAHARERA, such tenants don’t enjoy the rights given to the homebuyers, as per the rules tenants of these buildings are considered as promoters and they don’t get the equivalent privileges as the other home-buyers. The Pagdi system, a system which is in continuance since pre-independence era is similar to a lease model wherein people live in a building for a decade or more by paying cheap prices is a well-known system in many cities especially in Mumbai. The tenants of such Pagdi buildings are a part owner of the house, excluding the land. The government is planning to include such tenants as well under the authority as the issues with respect to these buildings were somewhere left unnoticed which are now under the consideration of State and Central government. Statistics shows that, there are thousands of cessed building which includes these Pagdi buildings in Mumbai. Tax of such property is paid to Maharashtra Housing and Area Development Authority (MHADA), who is responsible to make provisions for the repair of such buildings. Though such buildings are yet not a part of RERA ambit, the tenants can still seek protection under RERA provided the developer has registered his project in entirety instead of putting them under phases. Just to escape from the provisions of RERA, builders re-develops the project in phases and keeps the rehabilitation part and free-sale component separate, this act allows the builder to escape from the provision of registration under RERA as it is seen as compensation not sale. The initiative if implemented, would end up in providing a set of rights to the tenants of such building who at present do not hold any right and feel helpless if it comes to redressing of the grievances.